On August 19, 2016, at 1349 eastern daylight time, a Cessna 150M, N9230U, was substantially damaged when it impacted trees and terrain during a forced landing near Littleton, Massachusetts. The student pilot was not injured. Visual meteorological conditions prevailed, and no flight plan was filed for the solo instructional flight that was operated under the provisions of Title 14 Code of Federal Regulations Part 91. The flight departed from Sanford Seacoast Regional Airport (SFM), Sanford, Maine, with the intended destination of Minute Man Air Field (6B6), Stow, Massachusetts. According to the student pilot, he was on a solo cross-country flight and topped-off the fuel tanks with 100 low lead aviation fuel prior to departing on the first leg of the flight. He departed 6B6, landed at Laconia Municipal Airport (LCI), Laconia, New Hampshire, and then continued to SFM. After departing SFM, while in a cruise descent from 4,500 feet mean sea level (msl) on a 4 mile straight-in approach to runway 21 to 6B6, the engine lost partial power when the rpm decreased from 2,500 to 1,300 rpm around 2,500 feet msl. The student thought he could make it to the runway, but then began searching for a field to perform a forced landing. He located a field, turned toward it, and then began troubleshooting the engine. The student pilot advanced the mixture to full rich and applied carburetor heat; however, there was no change in the engine performance. As he was about to turn onto the final leg of the traffic pattern to the field, about 800 feet msl, the engine lost total power. The pilot landed the airplane in the selected field, which was about 300 feet msl, it impacted a stone wall and trees, and then came to rest in the upright position. 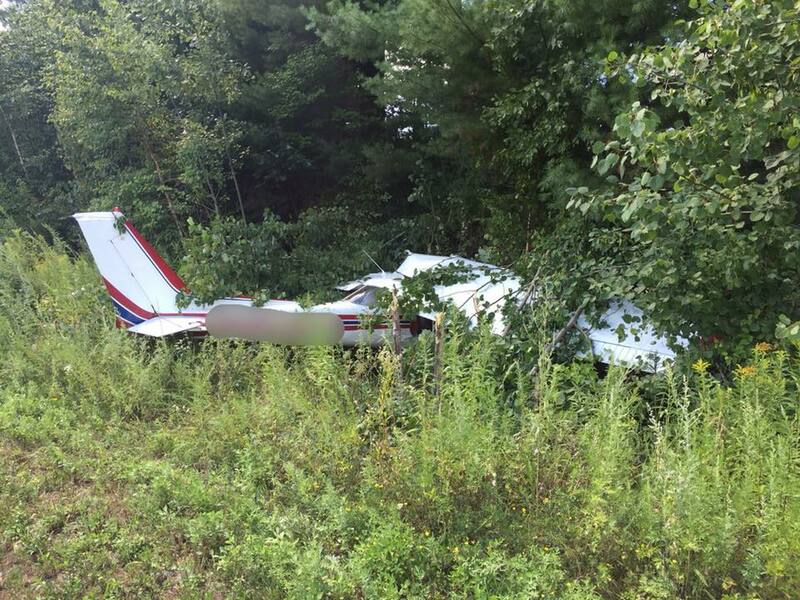 According to the flight instructor, the student pilot received his student pilot certificate in September 2014. His most recent third-class medical certificate was issued on September 18, 2014. At the time of the accident, he had accumulated 73 hours of total flight time, of which 51 hours were in the same make and model as the accident airplane and 11 hours were as pilot-in-command. According to Federal Aviation Administration records, the airplane was manufactured in 1976, issued an airworthiness certificate in May 2015, and was registered a flight school. In addition, it was equipped with a Lycoming O-200 series, 100-horsepower engine. According to the flight instructor, a 100-hour inspection was performed on the airplane August 4, 2016, at a total time of 8,216.4 hours, and a tach time of 969 hours. At the time of the accident, the tachometer indicated 986.8 hours. Examination of the airplane revealed that both wings were partially separated from the fuselage and the leading edges were impact damaged. The engine was examined and fuel was noted in the carburetor bowl. The fuel was free of water and debris. The rocker arm covers were removed and no anomalies were noted. Crankshaft and valve train continuity was confirmed from the propeller to the accessory section of the engine by rotating the propeller. In addition, evidence of compression was observed on all cylinders. The magnetos produced spark on all towers, the spark plugs exhibited normal wear, and were in "new condition." During the recovery, about 10 gallons of fuel were drained from the airplane. The reported weather around the time of the accident at Laurence G Hanscom Field (BED), Bedford, Massachusetts, which was located 10 miles east of the accident location, indicated wind from 330° at 4 knots, 10 miles visibility, few clouds at 6,000 feet above ground level (agl), temperature 31° C, dew point 13° C, and an altimeter setting of 29.90 inches of mercury. The carburetor icing probability chart from Federal Aviation Administration (FAA) Special Airworthiness Information Bulletin (SAIB): CE-09-35 Carburetor Icing Prevention, June 30, 2009, shows a probability of icing at glide and cruise power at the temperature and dew point reported at the time of the accident. According to the NTSB Pilot/Operator Report that was filed by the flight instructor, under the mechanical malfunction/failure section of the report it stated that the "engine fail[ed] due to carb[uretor] ice." 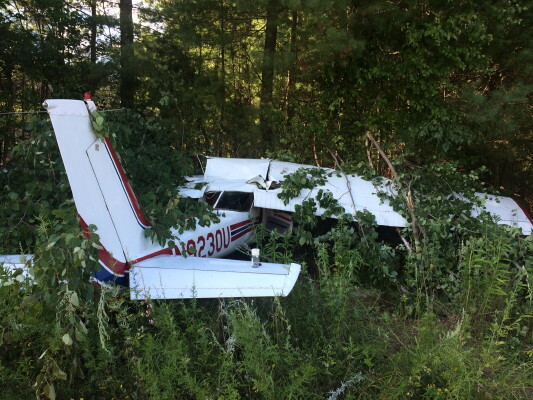 On August 19, 2016, at 1349 eastern daylight time, a Cessna 150, N9230U, was substantially damaged when it impacted trees and terrain during a forced landing near Littleton, Massachusetts. The student pilot was not injured. Visual meteorological conditions prevailed, and no flight plan had been filed for the solo instructional flight that was operated under the provisions of 14 Code of Federal Regulations Part 91. The flight departed from Sanford Seacoast Regional Airport (SFM), Sanford, Maine, with the intended destination of Minute Man Air Field (6B6), Stow, Massachusetts. According to the student pilot, he was on a solo cross country flight and topped off the fuel tanks with 100 LL aviation fuel prior to departing on the first leg of the flight. He departed 6B6, landed at Laconia Municipal Airport (LCI), Laconia, New Hampshire, and then continued on to SFM. After departing SFM, while en route to 6B6, the engine lost partial power and decreased from 2500 rpm to 1300 rpm. The pilot advanced the mixture to full rich, applied carburetor heat; however, there was no change in the engine performance. He located a nearby field to perform a forced landing, and about 900 feet above ground level, the engine lost total power. 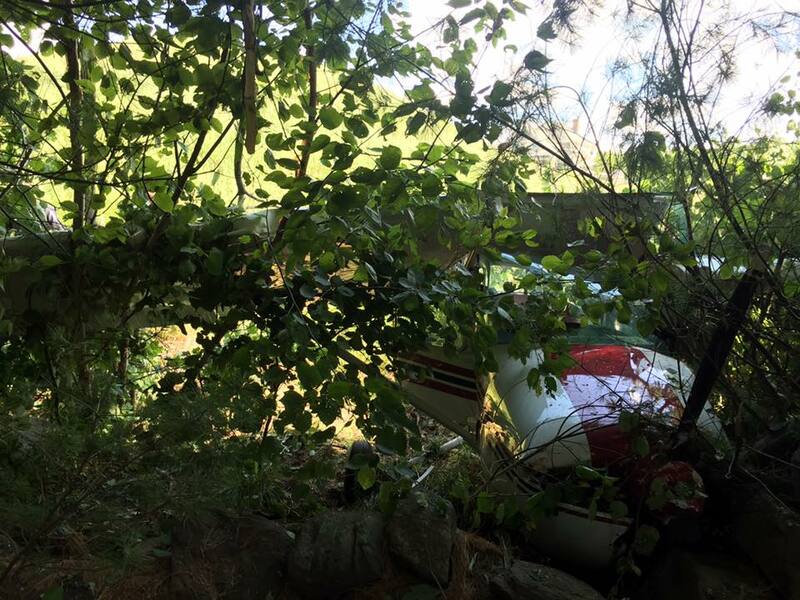 The pilot landed the airplane in the selected field, it impacted a stone wall and trees, and then came to rest in the upright position. An examination of the airplane revealed that both wings were partially separated from the fuselage and the leading edges were impact damaged. The engine was examined and fuel was noted in the carburetor bowl. The fuel was free of water and debris. The rocker arm covers were removed and no anomalies were noted. Crankshaft and valve train continuity was confirmed from the propeller to the accessory section of the engine by rotating the propeller. The spark plugs exhibited normal wear and were in "new condition." During the recovery, about 10 gallons of fuel was drained from the airplane.